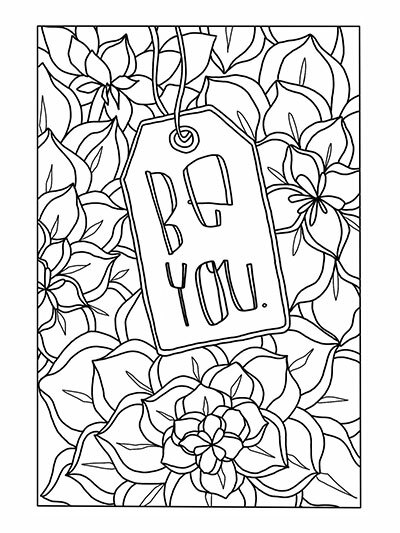 Color away your stress with this fun and uplifting coloring book! 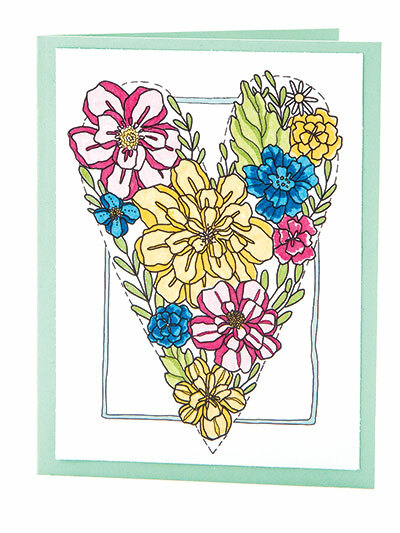 Popular paper-craft illustrators Catherine Scanlon and Tammy Tutterow have partnered to bring you this special issue filled with 82 floral and nature-themed coloring pages. 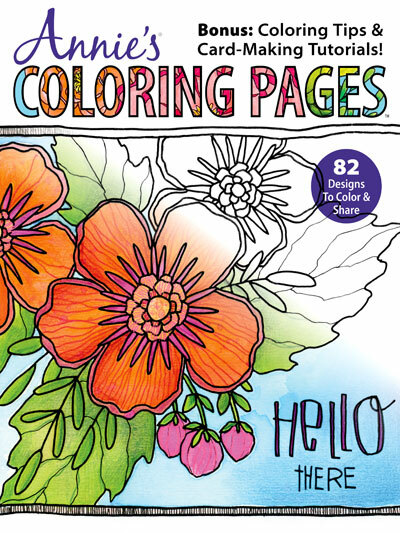 Relax and unwind with hours of stress-free coloring as you enjoy this collection of beautiful artwork from these talented illustrators. 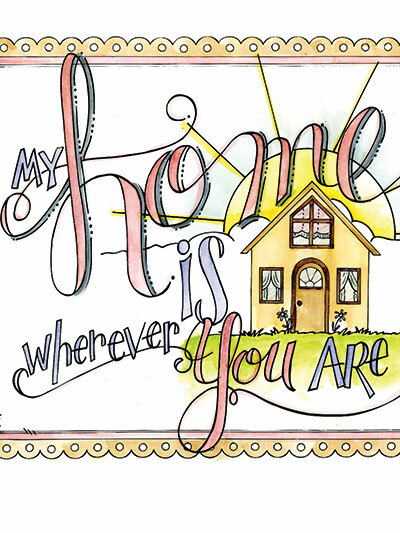 Uplifting words and encouraging sentiments add to the appeal of this fun coloring collection. 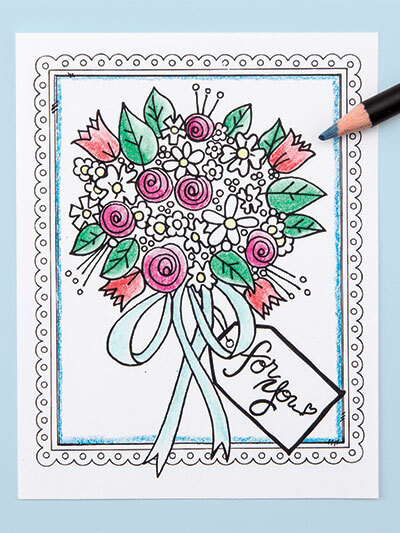 As a bonus, learn about some of our favorite coloring products and tips for coloring your pages, then show off your creations with easy-to-follow greeting card tutorials. 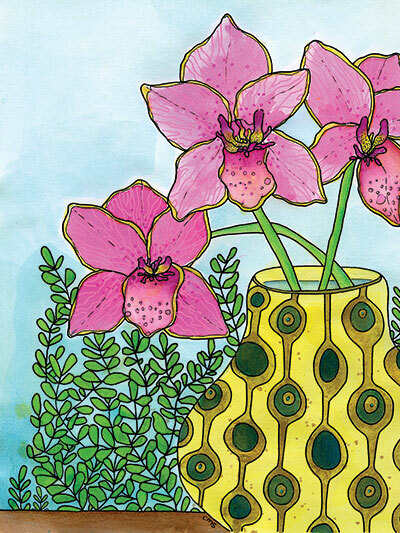 Instantly download this issue and get creative! 116 pgs. 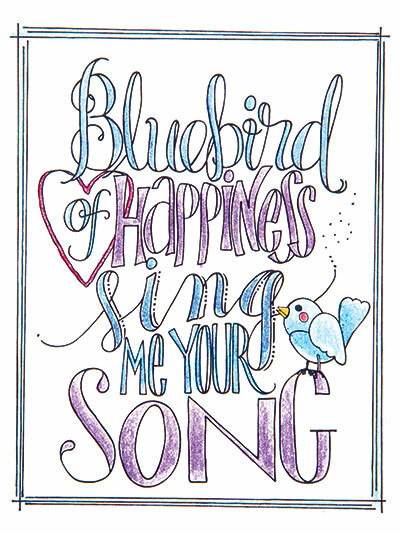 I love the adult coloring books and find this one very good. I have just started coloring in this one and hate to stop at 1100 PM to go to bed. I enjoy the different floral and nature pictures in this book. I feel like I can do pretty pictures (otherwise I can't draw a good stick person). A lovely book, full of uplifting and inspirational quotes & phrases. I came across this book by chance while at a local grocery. Once I'd flipped through just a few pages, I had to have it! The pages are thick, which I appreciate (even though I always place a piece of paper under the page that I'm working on, just in case). The illustrations are beautiful, and there is a good variety. Having a section on tips & card-making tutorials in the front of the book is a nice touch, as are the four-to-a-page images for card making towards the back of the book. The only complaint that some may have-though it is not an issue for me, as I prefer to keep my book intact-is the lack of perforation. To wrap things up, overall I am tremendously satisfied with this purchase. 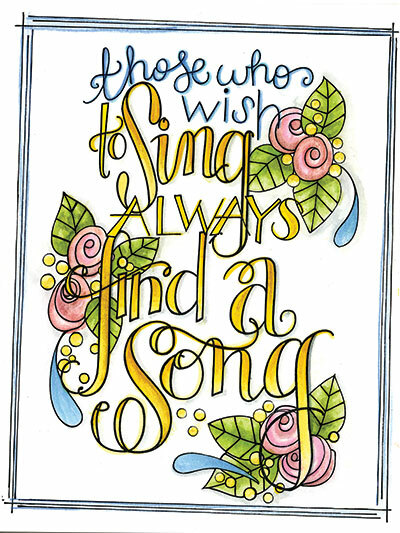 Great artwork, beautiful quotations that I find personally meaningful, a tips & tutorials section & over 80 images to color. I highly recommend this book to my fellow colorists. One more bonus for me was that, on the inside back cover, I was introduced to this wonderful website! Happy Coloring! I was thrilled to find coloring pages available as a digital download, which made it much easier to "scan" into the Recolor app on my iPad. The pages are turning out beautiful when I color them in on my iPad. 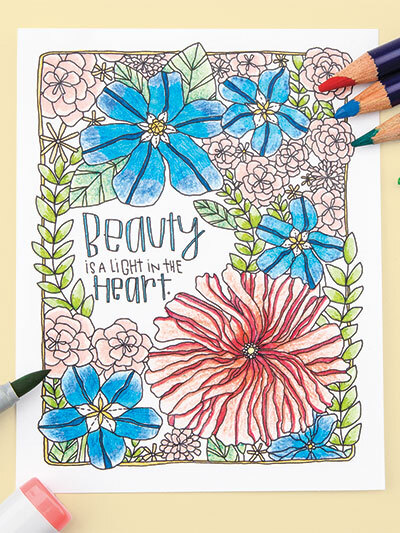 I love all the flowers and the phrases I can color in the wonderful coloring book!